This elegant fabric has an unusual textured finish to the 100% silk. It's a lovely shade of silvery dove grey with a design of maple leaves and fans in bright autumnal colours. 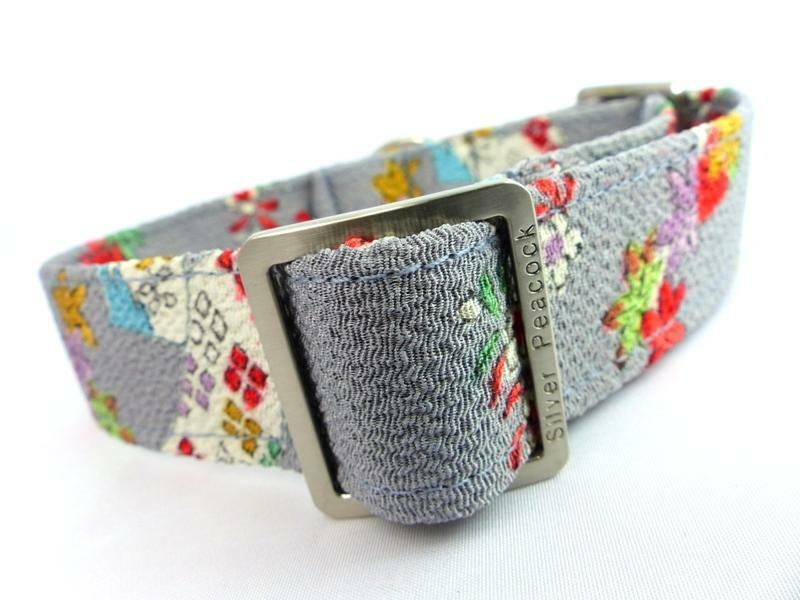 This collar is perfect for those elegant and sophisticated hounds with and will look truly stunning on brindle and black girls! The collar is lined in complementary red fabric and is finished with our signature robust silver coloured hardware.